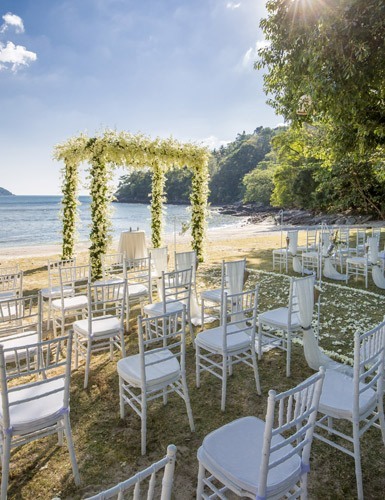 For a truly unique, romantic Phuket beach wedding, we have the perfect settings and facilities, available for anyone at reasonable rates. 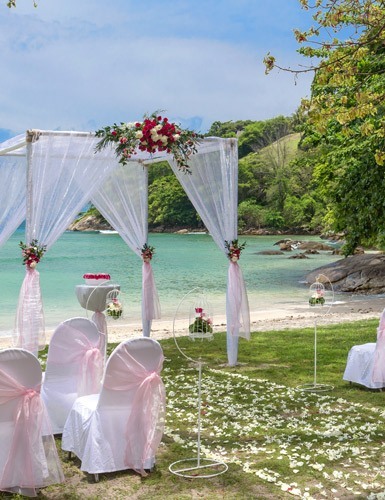 With our convenient locations along Phuket’s west coast, we can make your special day that much more special, with fantastic accommodation and first-rate catering, all in a peaceful and exclusive setting with traditional Thai-style buildings surrounded by nature. With extensive experience and a perfect beachfront location, Thavorn Hotels & Resorts has officially been nominated as “Asia’s Leading Wedding Venue” in the prestigious 2018 World Travel Awards. Our team of wedding professionals are dedicated to your special day. 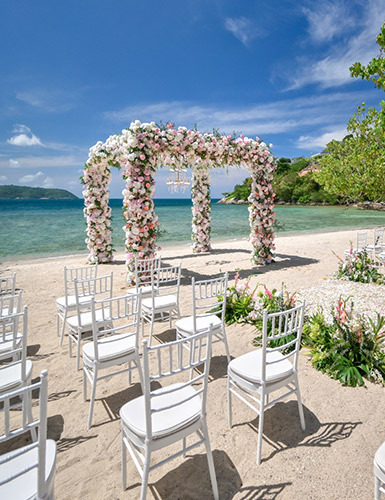 We provide an exceptional array of personalized services that will surely bring fun and excitement to your beach wedding! 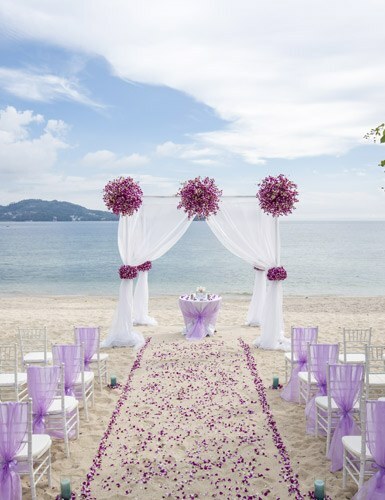 With our romantic beachfront settings, we can make your Phuket beach wedding a really unforgettable one. 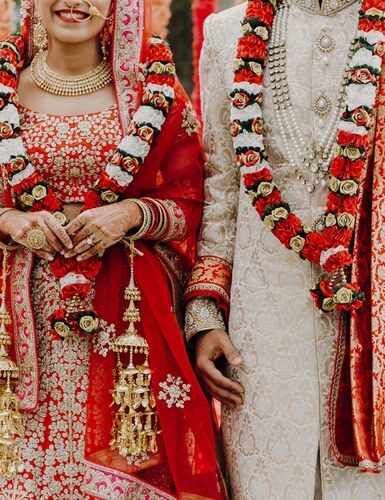 Our focus on the fine details and extensive experience with delivering unrivalled service will ensure that you get hitched without a hitch. We offer a range of wedding packages to suit a range of requirements. Whether you want to share your big day with all of your family and friends or want a modest yet intimate experience, we have a package for you. A picture speaks a thousand words! Have a look at our gallery of past wedding celebrations and picture how perfect your beach wedding can be!